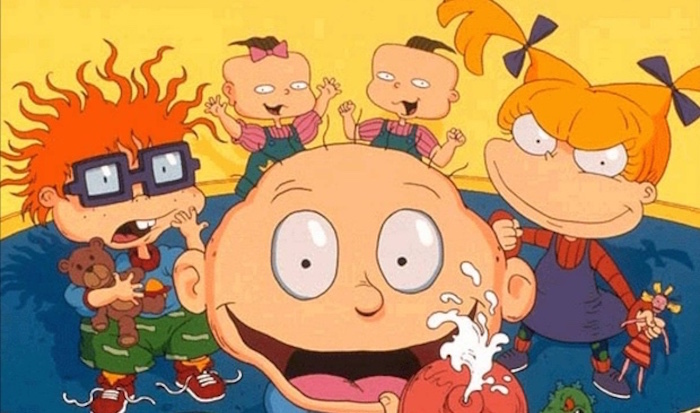 Rugrats is getting a revival with the original and new characters. ’90s kids, get ready— Rugrats is coming back with even more shenanigans than before. Rugrats is getting a reboot 27 years after its initial premiere with a new animated series and another movie. Our favorite characters—Tommy, Angelica, Chuckie, Phil, Lil and Susie—will be joined alongside brand-new characters. “Kids who grew up with Tommy Pickles and the Rugrats crew will now be able to share that experience with their own children,” Brian Robbins, president of Paramount Players, said in a statement. The TV series will feature 26 episodes from Nickelodeon and Paramount Players. The original creators of the show, Arlene Klasky, Gábor Csupó and Paul Germain, will be executive producers on the show, which is already in production. The cast list and air date has yet to be announced. As far as the Rugrats movie, that is expected to be released Nov. 13, 2020 by Paramount Players. The film will be written by David Goodman and will be a live-action film with CGI characters. The latest Rugrats film will be the fourth movie release in the franchise. There was a spinoff series of the show, All Grown Up!, with the babies as adults. However, the new reboot will go back to the babies doing what they do best—crawling in a playpen, playing with toys and finding adventure wherever they can. Rugrats isn’t the only Nickelodeon classic set for a reboot. Blue’s Clues will get its revival on the small screen, and Nickelodeon is planning specials for Rocko’s Modern Life and Invader Zim.